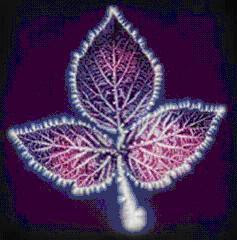 The morphog enic field is a field of energy containing a frequency of resonance that is co-created by all living species that are both visible and invisible on planet Earth. The morphogenic field is what gave rise to 'The Hundredth Monkey Effect'. The Hundreth Monkey Effect is the occurance when a new behavior or idea spreads rapidly and unexplainably from one group to another, without any members from the other group having any contact with the other, nor do they have any knowledge or awareness about the new behavior or idea. The account of The Hundredth Monkey Effect was first identified when scientists were conducting a study of Mamacaque Monkeys on the Japenese island of Koshima in 1952. These scientists observed that some of these monkeys learned to wash sweet potatoes, and gradually this new behavior spread throughout the younger generations of monkeys—in the usual fashion, through observation and repetition. Watson then concluded that the researchers observed that once a critical number of monkeys was reached, e.g., the hundredth monkey, this previously learned behavior instantly spread across the water to monkeys on nearby islands. 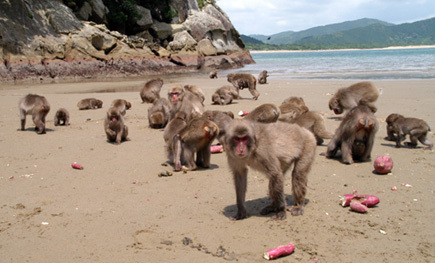 The later generation of monkeys on the remote island, had no contact or preivious knowledge that this behavior was occuring with the other monkeys in previous generations on the other islands. People once believed it was impossible for anyone to run a mile in under four minutes. Scientists agreed that the human body simply wasn’t physically able to do this. Then on May 6, 1954, Roger Bannister became the first person to break the four-minute mile. Prior to 1954, no one had ever run a mile in less than four minutes and yet, within the next two years, 37 additional people ran a mile in under four minutes! Morphic fields allow us to reach previously unachievable goals because the field holds information from the beliefs or intentions pertaining to one or more people. This allows us to follow much more easily where one person has gone before! Rupert Sheldrake, one of the world’s most innovative biologists and author of The Presence of the Past, talks about Morphic Resonance, telephone telepathy, email telepathy, and several other experiments, which provides evidence that there is some type of field that connects us emotionally to the same vibration. 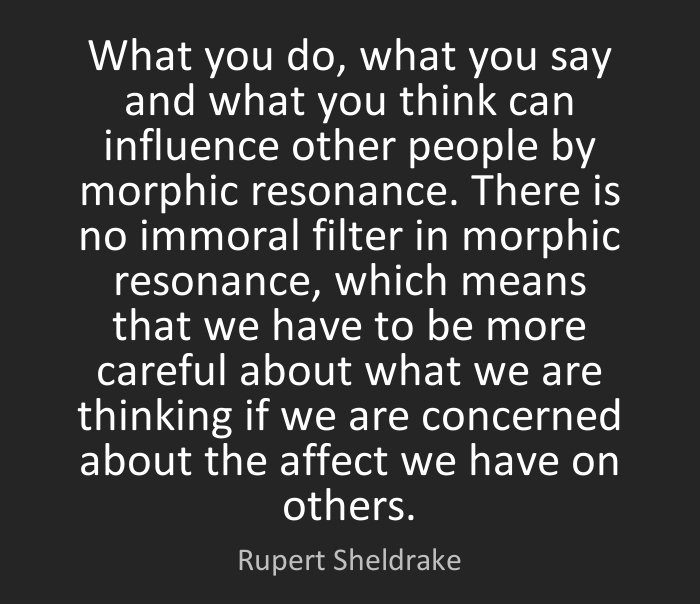 Sheldrake is best known for his theory of Morphic Fields and Morphic Resonance. His latest book, “The Sense of Being Stared at” develops his concept of the extended mind. If we know the morphic field exists, it would make sense that any of us can tune into it, similar to the way our computer links us to the Internet. There is plenty of evidence suggesting that there is a field that links us to expanded knowledge and consciousness when we explore the studies of ESP phenomenon, telepathy, and The Hundredth Monkey Effect. The morphic field may also explain how someone who is born blind, has brain injuries, and mental impairment can express genius abilities as a musical prodigy. When watching this video about Derek Paravicini, it will beg you to ask the queston, "How can someone with severely limited cognitive abilities, who is also blind, play the piano so elequently and with so little exposure to the song prior to playing any song he is asked to play? Where does genius come from if it does not come from the walls of the brain?" If there is a greater field of vibrational energy that human consciousness submits information to and can also connect to, then we may all hold unrealized genius potential which can be fully expressed once we learn how to tap into the morphic field. 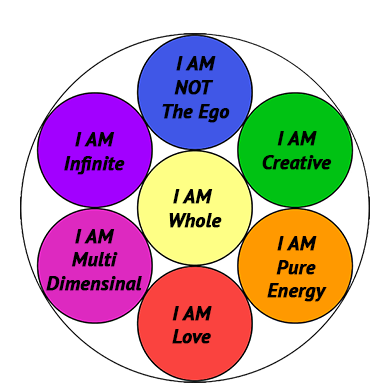 According to the morphic field theory, Individually and collectively we constantly contribute to the development of the universe with our thoughts and the emotional connections we have to our thoughts. Accessing fields of consciousness, or morphogenic fields is as simple as resonance: For example, if you carry a high level of resonance for peace, the chances are that you will access peace easier and draw to you peaceful experiences. Likewise, if you have a high level of resonance for fear, the chances are equally good that you will find yourself tapping into more fear from that field and drawing validating and fearful experiences into your life. Perhaps thoughts are not something we 'conceive ourselves' within the walls of our brain, but rather, thoughts may actually be energetic components of a greater universal cosmic mind or a universal database that we can all tap into when the conditions are right. Since thoughts are energetic, then we can assume that a macrocosm of thoughts float about in the universe creating a gigantic soup. Everything that has ever been thought of, invented, imagined, or experienced may be part of this database. Based on the vibration of the "thinker", we will naturally "choose" or align with those thoughts that are most in aligment with our vibration. We "experience" thoughts similar to the way that we breathe air. We do not create the air we breathe, but we experience the act of breathing with every breath we take. Similarily, we experience the act of thinking, but what we think about and align with and we believe is possible or impossible may have more to do with what we are aligning with morphegenically than anything else. You can tap into the morphic field more easily by disovering other people who have already done whatever it is that you want to do. When you are inspired by other people, read about their accomplishments, watch their videos, and learn about their journey, you are entering their morphic field. When you do this, you are aligning with their resonance and their conciousness, and this can bring about the same kinds of experience into your life too. The expression that "like breeds like" is most likely due to the Morphic Field. We can have whatever we want once we discover that something is possible. If someone else has done it, then you can too. Are You As Successful As You Want To Be?